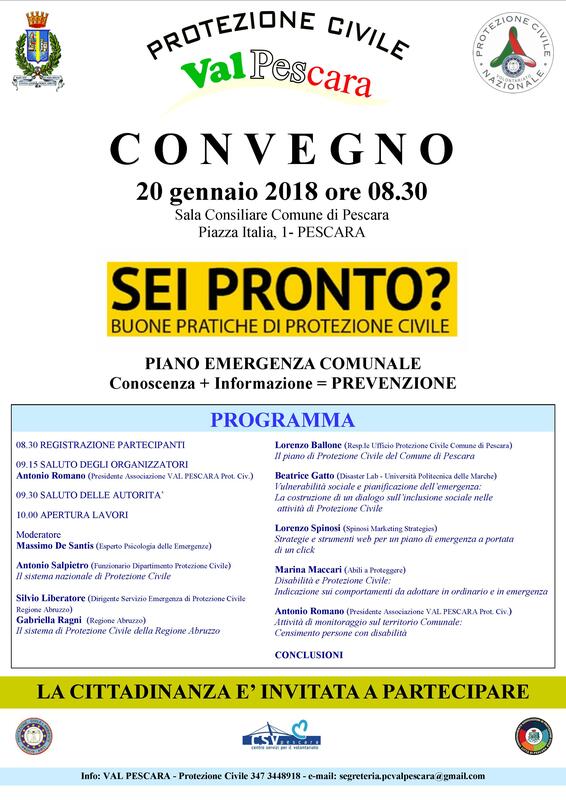 Protezione Civile ValPescara – SEI PRONTO? This entry was posted in Convegni. Bookmark the permalink.